1. Ask around. When looking for a recommendation on a product or service, the best thing you can do is ask around to friends, family, neighbors and other people who live/work in the same area. Facebook now has a new feature that can link a recommendation to post - so try asking your Facebook friends something along the lines of "Where is a good place to get my alternator fixed?". Facebook will link the page and put it on a map for you! 2. Research different automotive certifications and what they mean. ASE (Automotice Service Excellence) is something they have to earn to be given. There is an exam that is attached to earning the certification. 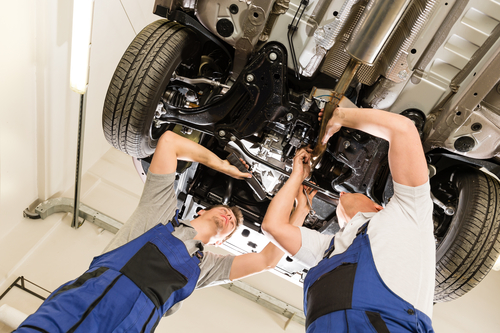 When researching a new mechanic or shop, make sure they are qualified, licensed and insured. 3. Check online reviews. This is similar to asking people you know for recommendations, but now your looking at what strangers have to say. When looking at reviews, look for a pattern. Do they have great reviews but often say they are a little slow on getting the work done? If that matters to you, you might want to skip this shop. 4. Do your own research. Look up prices of parts, how long it takes to replace the part (on average) and local labor per hour rates. If your finding the part for $100 and it takes 3 hours to repair - you may have to pay labor at $50/hour (very realistic number!). So your quote could be somewhere around $250 - $400 to have that fixed. Many shops will include disposal fees and fluid fees in the quote! 1. Cheapest is not always best. In fact, if it seems too good to be true, it probably is. 2. Make sure to ask to see the old parts when you pick your vehicle up. This ensures they are not using the same, old parts! 3. A shop (or mechanic) having certifications and insurance is for your safety. If the shop messes up something while working on your car, they are responsible and their insurance should take care of it. 4. Take someone who is car-smart with you. Be wary of a repair station that always wants to do more than you asked for. It's nice of them to check your vehicle over for potential problems, but if every time you go they find something major wrong they're probably trying to rip you off. There's even a word for this unscrupulous practice: "up-selling" a job. Get a second opinion from someone several shops away. If the supposed problem requires significant effort to inspect, it would be reasonable to pay a fee for that. What other tips and tricks can you pass on to our readers about finding a good mechanic? Tell us below! Has anyone else had a vehicle fixed @ this Bidy shop & has trouble with it being half fixed & having to be returned 3 or more times?